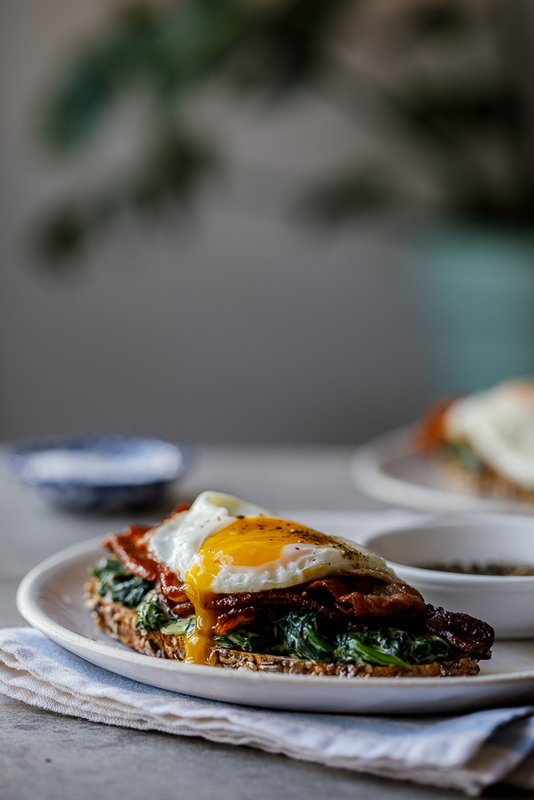 Quick and easy breakfast toast topped with luscious creamed spinach, crispy bacon and a sunny-side up fried egg is the perfect start to your day. We are right in the middle of our annual winter school holidays in South Africa at the moment and I have to say, I couldn’t be loving it more. Not having to worry about an alarm clock, lunchboxes or rushing to get to activities has been an absolute joy. The later start to the day also allows me the luxury of cooking proper breakfasts most days (let’s face it, cereal still happens more often than I’d like to admit). 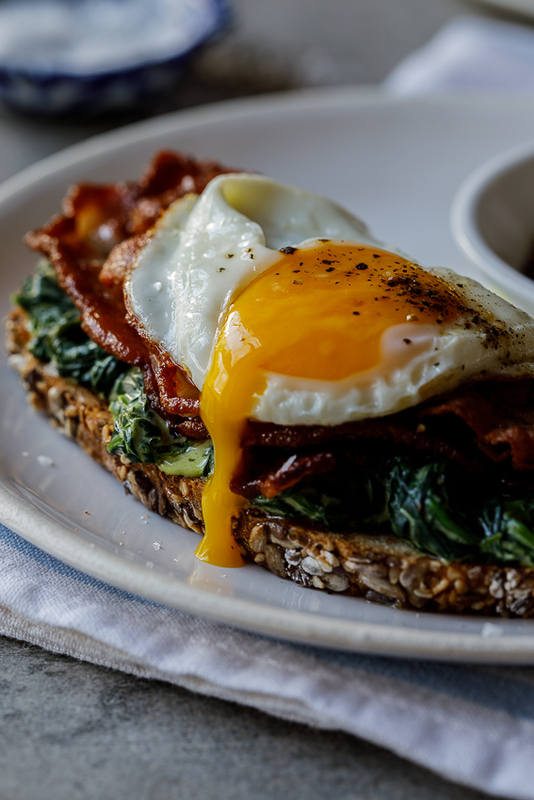 And yes, creamed spinach on its own makes a pretty fabulous sandwich (as can be seen in my creamed spinach grilled cheese) but I decided to top it with a few slices of crispy streaky bacon and a fried egg. 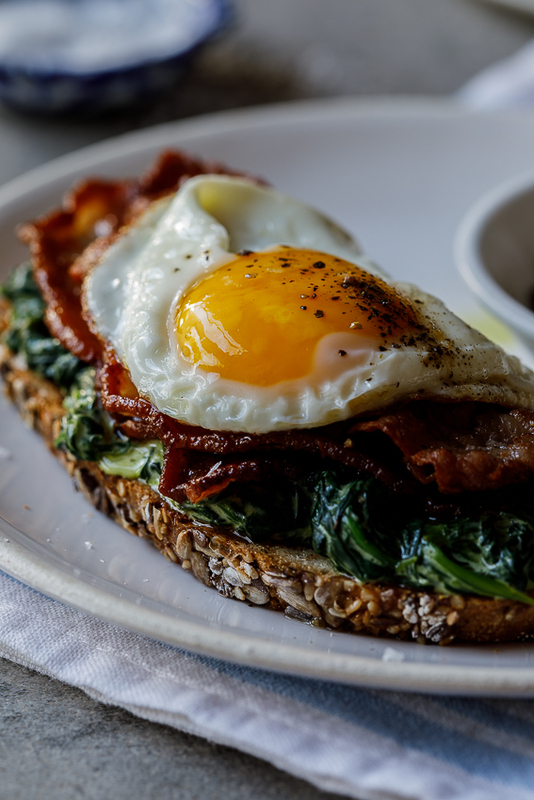 Because bacon and egg make everything better, right? 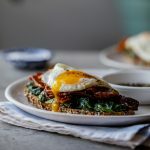 This breakfast toast would be equally delicious with poached eggs and smoked salmon can easily substitute the bacon. I used multi-grain bread but a good slice of toasted sourdough or gluten free bread would work well too. 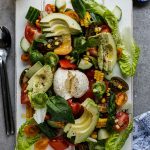 This turned out to be a fabulous, easy breakfast and one I plan on serving at my next brunch party. Heat the oil in a large frying pan then add the baby spinach and garlic and allow to cook until the baby spinach has wilted. Drain excess liquid then add the sour cream, lemon juice, salt and pepper and mix through. 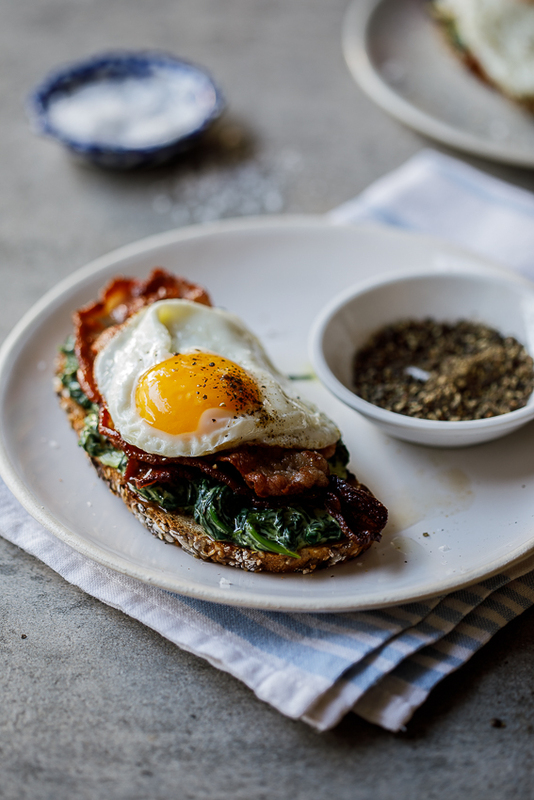 Top the toast with a few spoonfuls of spinach, streaky bacon and a fried egg. 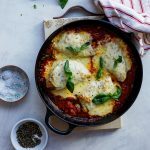 What a great idea to add some creamed spinach Alida! That’s one of my favorites and I would have never thought of that. Thanks for sharing! Thanks so much Mary Ann. It adds just the right amount of creaminess to an old classic.